Choosing a graphic-card is one of the most significant things to consider when buying computer parts and trying to assemble an excellent PC. It has a substantial effect on your computer usage experience. It will affect the games you can play, the quality of watchable movies and the applications you can run. Graphic-cards are rather expensive compared to other computer parts. However, you need to spend a good amount of cash and consideration before making a choice. The confusing names, multiple variations, and editions are already a hurdle for PC enthusiasts. Also, the diverse amount of graphic-cards makes it even worse. Installing a new graphic-card is the simplest and easiest way to upgrade your pc. Replacing it every couple of years keeps the PC up to date. Here are some of the best models of graphic-cards on the market today. The list below is an evaluation in terms of power and affordability. 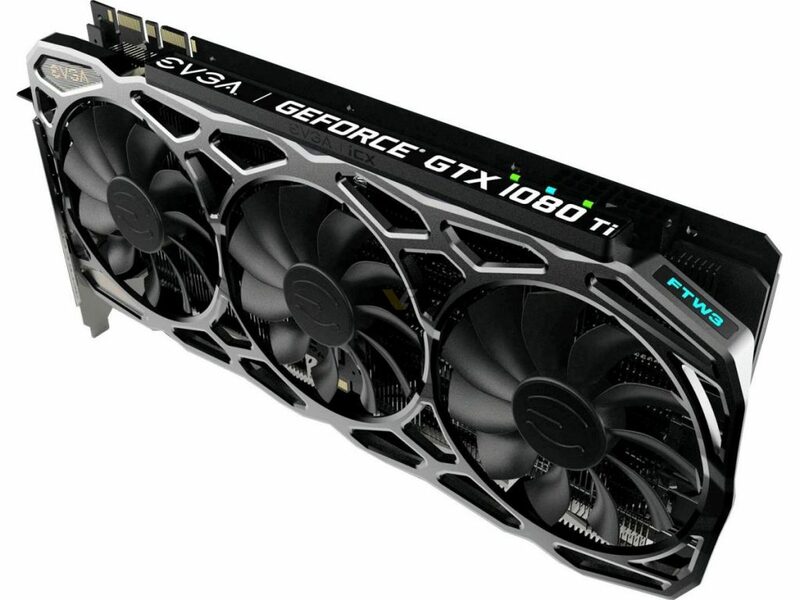 EVGA GeForce GTX 1080 Ti Founders Edition: Currently the fastest consumer graphics as of now. Albeit expensive,it can run the latest VR and 4k games at the best graphic-resolution. The standard version costs less while the over-clocked version costs more, around $700 to $750. MSI GeForce GTX 1070 Ti gaming 8G: It has t performance level can be gauged between the GTX 1070 and GTX1080 models. However, it has a quieter and better cooling operation compared to others. There are no factory over-clocked versions, so you need to do it manually for better performance. It costs $490 to $550 at most. Nvidia GeForce GTX 1060: This is the best entry-level graphic-card on the market today. 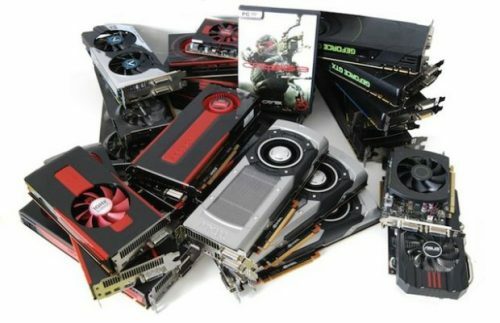 Its graphic-processing power vs. cost is unequaled among the cards with the same price range. It costs between $200 and $230. Nvidia GeForce GTX 1050: Currently the cheapest graphic-card that can run your favorite shooter games at 60FPS in medium settings. The compact size is suitable for small-built gaming rigs. It usually costs around $100 to $140. AMD Radeon RX Vega 56: This is one of the best graphic-cards that offer a full HD gaming experience. It runs faster and is cheaper compared to Nvidia GTX 1070. It’s also best for 1080p and monitors with 144Hz to 240Hz. It is also the favorite choice of many for bit mining. It costs around $400 to $450. Zotac GeForce GTX 1080 Ti Mini: This is the most compact graphic-card with 4k gaming capability. It is as little as 211 x 125 x 41mm in dimension. Suitable for microATX and mini-ITX built computers due to its size. It usually costs around $900 to $970. 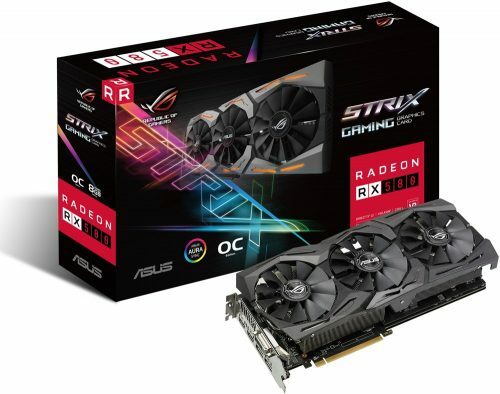 Asus ROG Strix Radeon RX 580 Top Edition 8GB: It offers performance and frame rate comparable to an over-clocked Nvidia GTX 1060. It has programmable lighting effects and other features. The size can pose a problem with small cases. It costs $250 to $270. The graphic-processing power is essential, but compatibility similarly needs to be put into consideration. Don’t overlook other vital PC parts. Lastly, you should choose the card that suits your needs.